In 1983, as Penn State football coach Joe Paterno was being honored for his first national championship, he gave a speech challenging the university's Board of Trustees to make Penn State number one in academics as well as athletics. He specifically targeted the need for a top-quality library, stating, "Without a great library, you can't have a great university." In 1993, he and his wife Sue began a campaign which raised $13.75 million for the construction of a new library. The groundbreaking for the library, named the Paterno Library in their honor, took place in April 1997. 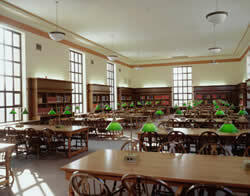 Paterno has also donated several million of his own money towards the library. Construction was completed in fall 2000, and the building was dedicated on September 8, 2000. 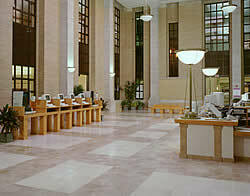 The building is connected to the Pattee Library, and shares a common circulation desk. 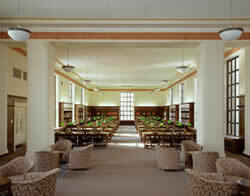 In the Fall of 2000, the new Paterno Library and renovated Pattee Library were dedicated. The former East Pattee, now part of Paterno Library, has been renovated to provide office and work spaces, as well as homes for five subject libraries. The Paterno Library ground floor houses the Maps Library, special collections storage, and Digital Library Technologies offices; the first floor holds the Special Collections Library and the main Technical Services workroom; the second and third floors support the Social Sciences Library and the Schreyer Business Library. The fourth floor features an expanded Life Sciences Library, and the fifth floor includes the Education and Behavioral Sciences Library and administrative offices. Pattee Library, connected to Paterno Library at the Curtin Road entrance, houses the Arts and Humanities Library, the Gateway Commons, the main Circulation area, and the extended Hours Library, which encompasses the Microforms and Newspapers Library and the Reserve Reading Room. 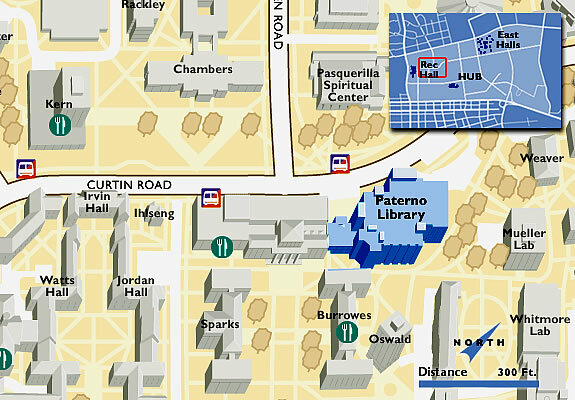 MacKinnon's Cafe is located adjacent to Microforms and Newspapers, at the ground floor west entrance to Pattee.